Audi R8 GT pricing announced for U.S.
Audi has announced the 2012 R8 GT will be priced from $196,800 in the United States. Described as the "lightest, fastest and most powerful entry in the Audi supercar lineup," the exclusive model has an aggressive appearance with a carbon fiber body kit, a matt titanium grille, and unique 19-inch alloy wheels. Inside, the sporty styling carries over as the cabin is outfitted with a flat-bottomed steering wheel, Alcantara upholstery, and matt aluminum accents. Additionally, there's a revised instrument cluster, an individually-numbered gearshift knob, and carbon fiber trim. Power is provided by a 5.2-liter V10 engine that produces 560 PS (412 kW / 553 hp) and 540 Nm (398 lb-ft) of torque - 35 PS (26 kW / 35 hp) and 10 Nm (7 lb-ft) more than the standard R8 V10. It is connected to an R tronic transmission, which enables the 1,525 kg (3,362 lb) car to accelerate from 0-100 km/h in 3.6 seconds and hit a top speed of 320 km/h (199 mph). 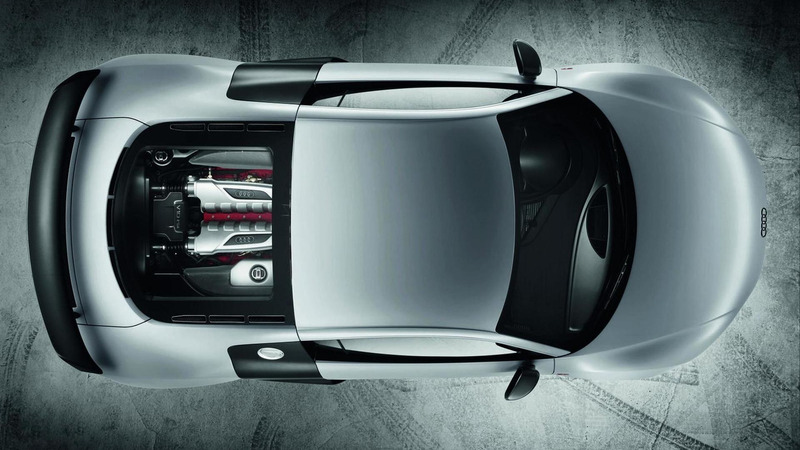 Only 333 R8 GTs will be produced and 90 vehicles are slated for American buyers. 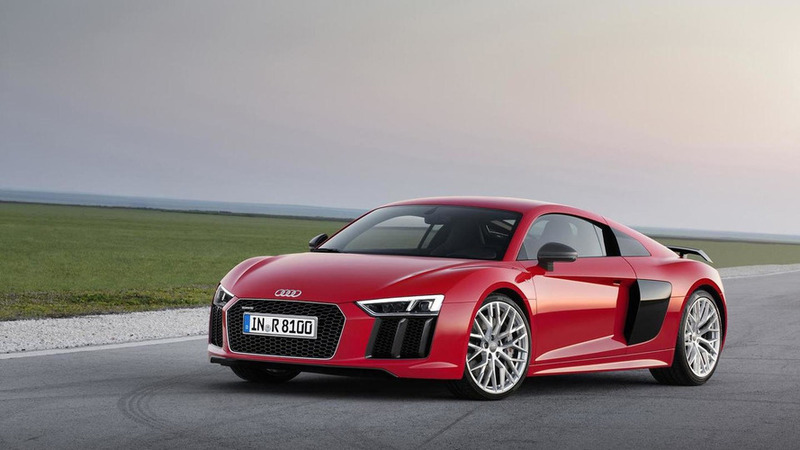 Gallery: Audi R8 GT pricing announced for U.S.